In 2007 I was looking at a map with all the train journeys lines out on it. Mesmerized I followed the lines from Europe to my intended destination: Nepal. At first, I thought to hop on a plane and fly to Kathmandu direct, but seeing I could follow the coloured lines on the earth and visit places like Mongolia and Tibet, I changed my plans immediately and decided I wanted to travel to Tibet. I travelled via St. Petersburg by train to Moscow and started the Trans Mongolian Railway towards Mongolia. I’ve spend a week in the Gobi Desert before continuing towards Beijing. 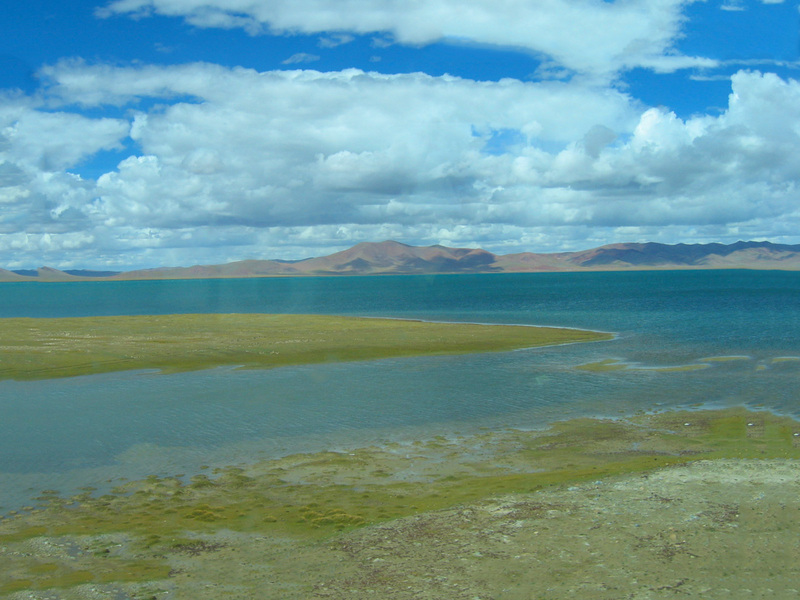 As I had travelled that far by train, I extended my journey via rail to Lhasa, Tibet. Back in 2007, all I got was a Chinese Visa and rumours had it, I needed a Tibetan Permit too. Numerous times, the permit was promised to me and I would get it when receiving my train tickets at the hotel. 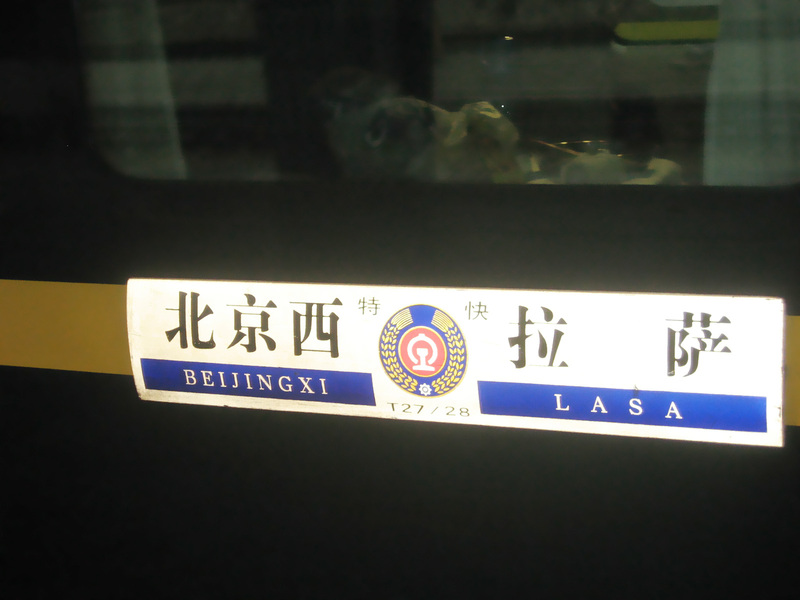 Then at the train station in Beijing and then upon arrival in Lhasa. I travelled without a permit and nobody asked me for it. But then the riots came and the protests before the 2008 Beijing Olympics and the situation in Tibet changed dramatically. As of 2012 all persons travelling to Tibet need a permit before embarking on their plane, train or vehicle. This doesn’t mean travel to Tibet and Lhasa is impossible for solo travellers. It still can be done independently, although you might not just pack your back and hop on a train, whenever you feel like it. With a little bit of planning beforehand and arranging the paperwork via an agency, you can still travel to this majestic land of high peaks, yaks and Buddhism. Are you a solo traveller or a couple of independent wanderers? And do you want to know how to travel to Tibet on your own? Read on and I’ll show you how to travel to Tibet solo and still have that independent feel for your trip. There are 3 ways to reach Lhasa, the capital of the Tibetan Autonomous Region in China. I simply will refer to it as Tibet from now on. You can travel by Air, over land and by train. All require a Chinese Visa and a Tibetan Travel Permit but have different pros and cons concerning their independent feel for solo travellers. Lhasa has 1 airport, Lhasa Gonggar Airport (LXA). It’s situated 62 km/39 miles away from Lhasa and you can fly internationally only from Kathmandu, Nepal. When you’re already in China, many flights operate between Lhasa and Beijing, Guangzhou, Shanghai and Chengdu. Travel by plane is quick and frequent. You do not have the travel to Kathmandu or Beijing to start your travel. It’s perfect for travellers already in China who travel with time constraints. 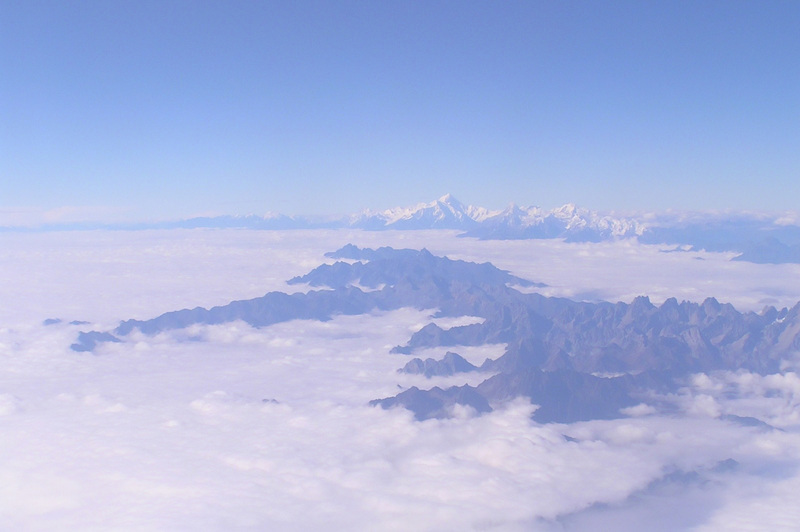 If you fly from Kathmandu, you might be lucky and see amazing views of the Himalaya. Photo credit: Simon & Jo. If you fly from Kathmandu, you have to transverse the Himalya. When you’re seated at the right side of the plane and skies are clear, you’ll have a sweeping view across the Himalyan mountain range. Read about the plane ride from Kathmandu to Lukla. In just a few hours, you’ll arrive at Lhasa airport. At 3,570 metres (11,710 ft.), it is one of the highest airports in the world. People travelling by air, will almost immediately be hit by altitude sickness. You might only be able to get a permit, when you join a tour group, which will not give you the feeling of independence. You can also travel over land to Lhasa. Foreigners are not allowed to use public transportation outside Lhasa, so you need to go via a tour group. You can travel from different parts of China but roads are treacherous and long. More often, people travel over land from Nepal to Lhasa, sometimes taking in Mount Everest Basecamp on their way. This can be done in 3-5 days, depending on the amount of stops on the way. Tours and permits can be arranged in Kathmandu and you can join a tour group, or round one up on your own. When you travel over land from Nepal, this can be quite an interesting tour. You’ll leave the lush green valleys of Nepal behind and climb instantly to over 4,000m. On the way you can visit Everest Base Camp and Tibetan towns like Shigatse. But just like via air, you’ll climb to high altitude so quickly, altitude sickness is a big possibility. You need to join a tour group and cannot travel Tibet alone. This might be costly and doesn’t feel very independent. The roads might be blocked due to severe rainfall or blocked because of a recent earth quake. Travelling from anywhere else in China to Lhasa over land takes a long time and it will be difficult to obtain a permit. 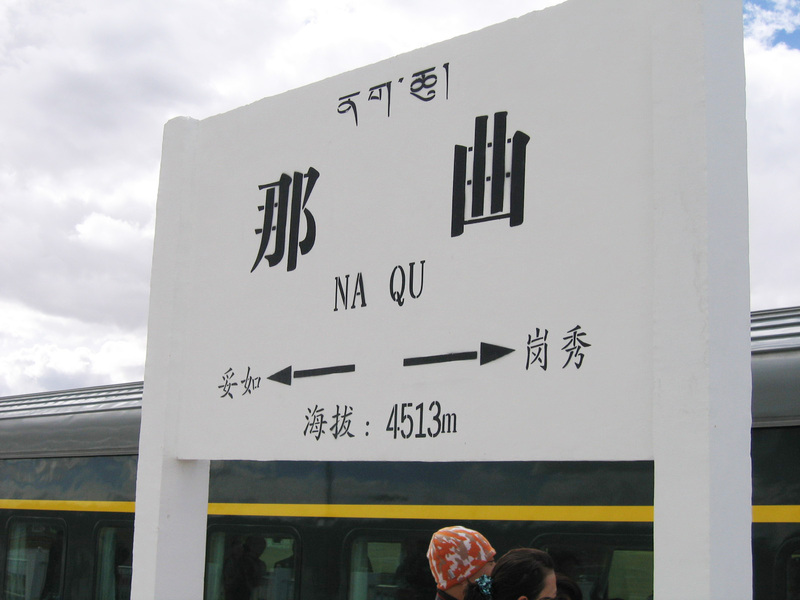 On July 1th 2006, the train route from Beijing to Lhasa opened for the first time. The Qinghai-Tibet Railway is a real masterpiece of engineering. The route covers a 3,757 km (2,335 miles) and will take up to 41 hours from start to end. The route is the highest railway in the world and the highest pass is at Tanggula Pass (5,072 m/ 16,640 ft.). You spend almost 80% of the journey above 4,000m and the route costs a whopping 3,7 billion US $, mainly because of the difficulties building at high altitude and building on permafrost. To add to the cost, the trains are made specific for high altitude travel. 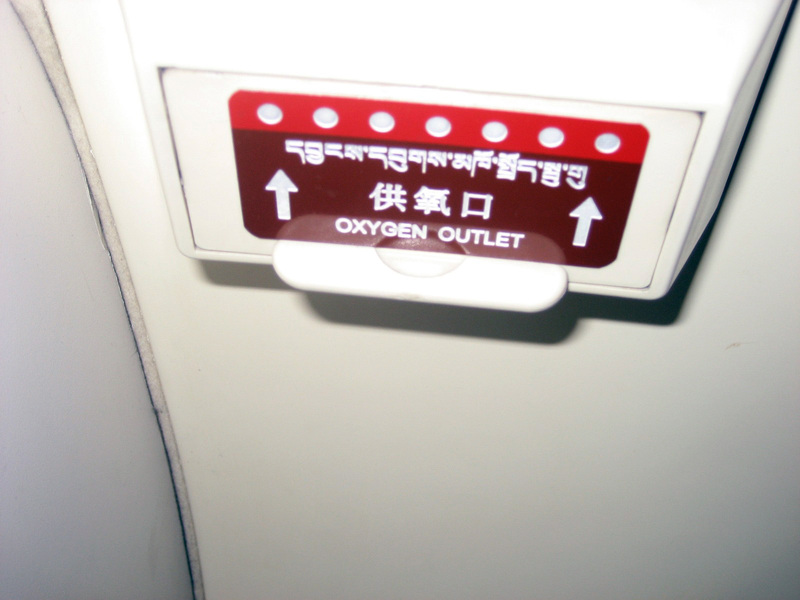 There is extra oxygen in all carriages and there are extra oxygen tanks when you need it. The windows are made with special glass, to prevent the harsh radiation on these high altitudes to harm the passengers. This also enables uninterrupted vistas from your train window as reflection is limited. The train route is also linked to other places in China, like Shanghai, Guangzhou, Chengdu and Xi’an. This gives you the possibility to travel from your home town in Europe or Asia all the way to Tibet! What a wonderful journey that will be. You need to book your train tickets via an agency or at the railway station in China. This might be a real challenge if you do not speak Mandarin or want to travel in high season like July and August. You need to obtain a Tibetan Travel Permit to be able to board the train. Once you are on the train, all the pros begin. 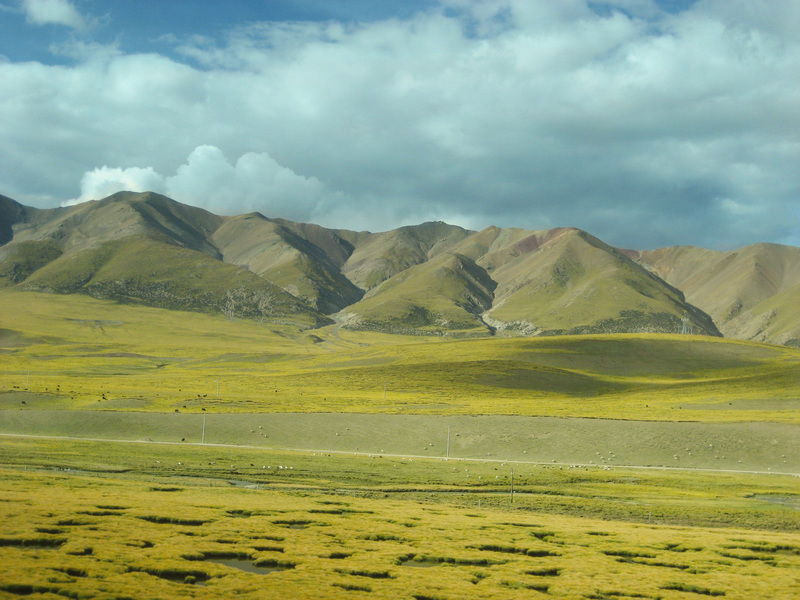 The journey by train to Lhasa is one of the best ways to travel to Tibet. You can sit back and relax while the ever changing landscape is passing by. You slowly get used to the altitude and get a chance to get off the train for a quick stop at the highest railway station in the world: Tanggula Railway Station at 5,068 m (16,626 ft.). You can buy train tickets from a few agencies, without having to buy a tour, like chinatibettrain.com. In case you do opt for a tour, you can still request for a bed with other people besides your group and get the feeling you are travelling independent. The train offers different kinds of classes. There are the normal cheap seats, but this might be a little bit too basic for a 3 night train journey. Most tourists opt for the sleeper berths. The Tibetan Railway has hard sleeper coupes, where you share a 6 bunk berth with other travellers. And there are also soft sleeper coupes with only 4 beds. Facilities are Chinese, meaning a squat toilet and no showers. Bring your own toilet paper and enough snacks and drinks for yourself and to pass around to the other people travelling with you. It’s a great way to make new friends. How to travel to Tibet by train? So you have decided, just like me, to take the train to Tibet. Great idea! Here are some things to consider before you can hop on the train. You need a Chinese visa to enter into China. Even if your main goal is Tibet, you’ll still need a visa for China. 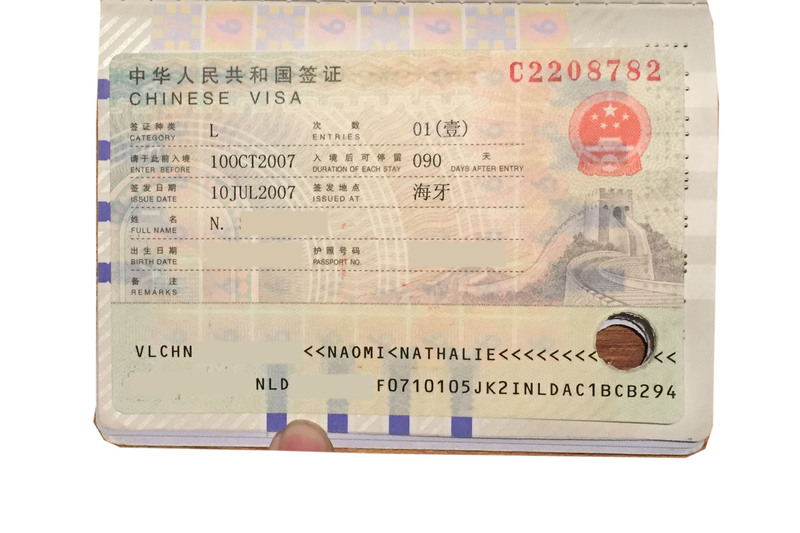 This can be obtained at home, with the Chinese Embassy or consulate. If travelling from Nepal, you can also request a visa in Kathmandu. Do remember; do not list Lhasa or Tibet as your main travel goal. Authorities might decline your visa request as the political situation is still delicate. List Beijing, Xi’an, Chengdu or Shanghai as your main travel destination. After you receive your Chinese visa, you can apply for a Tibet Travel Permit. All travellers need a Tibet Travel Permit. You cannot obtain this on your own, but there are tour agencies out there, who can apply for it in your name. Of course, these agencies want you to buy one of their tours. But some agencies also offer the service of arranging the permit, for a small fee. Once all the paperwork is finished, you can safely book your train tickets. You can apply for them before hand, while waiting for the permit. Due to high request for tickets during summer and the start of October, it’s best to book your tickets as early as possible. Keep in mind prices can fluctuate and are subject to availability. Check first before booking. Read more about what it is like to travel to Tibet by train here. Now you know everything on how to travel to Tibet. If you plan ahead and arrange the right paperwork in advance, there is nothing that stops your from travelling solo to this amazing country. Have you ever travelled to Tibet by train? What is your opinion on how to travel to Tibet? Did you like this blog post and do you think it’s valuable? Make sure to pin it! No Tibetan tour operator will offer to get you the TTP unless you are booked on one of their tours, as having the tour is a requirement for them getting the permit. If anyone advises you that they can get you a permit only, then it is a scam. 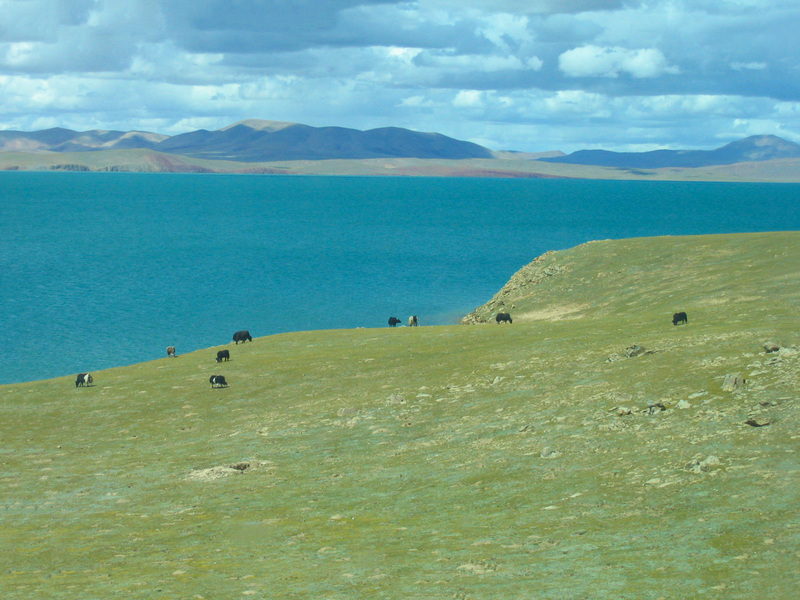 Permits actually cost nothing to get to Tibet, as the cost is all included as part of the tour package. Some scamming agencies on the internet will tell you that it costs around 100 dollars to get the permit alone, without needing to book a tour. Avoid these like the Bubonic plague, and go for a more reputable tour operator with good ratings on somewhere like Lonely Planet or TripAdvisor. Thank you Martin for your information.